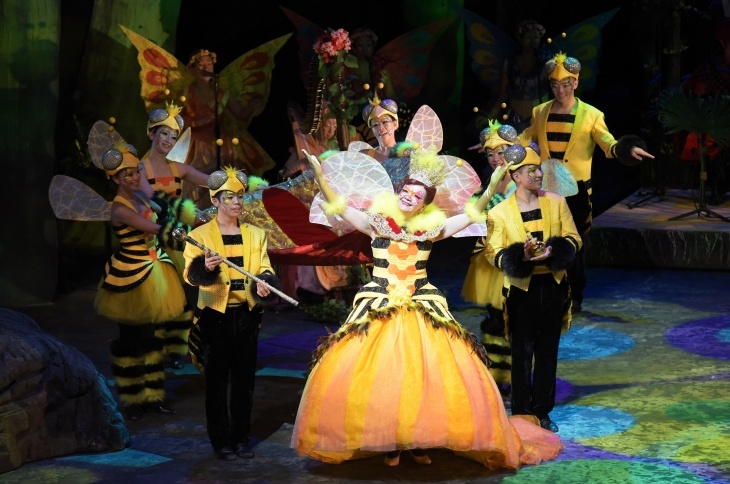 Based on a story by Leanne Nicholls with music and lyrics by Nick Harvey and Scott Ligertwood, Bug Symphony is an award-winning musical which features comedy duo Scotty & Lulu and a stunning cast of 60 performers in dazzling bug costumes. It tells the hilarious tale of two humans who are interrupted by a bug orchestra while having a picnic in the forest. They then find themselves on a quest to find the missing notes of the golden orb spider in time for a performance for the Queen Bee’s coronation. During the search, they encounter a cockroach on jazz saxophone, a Broadway stinger and a deadly killer bug! The programme runs for 115 minutes with a 15-minute interval. Tickets priced at $550, $350 and $250 are on sale from all URBTIX outlets with half-price concessions for full-time students, senior citizens, people with disabilities and their minder and Comprehensive Social Security Assistance recipients.